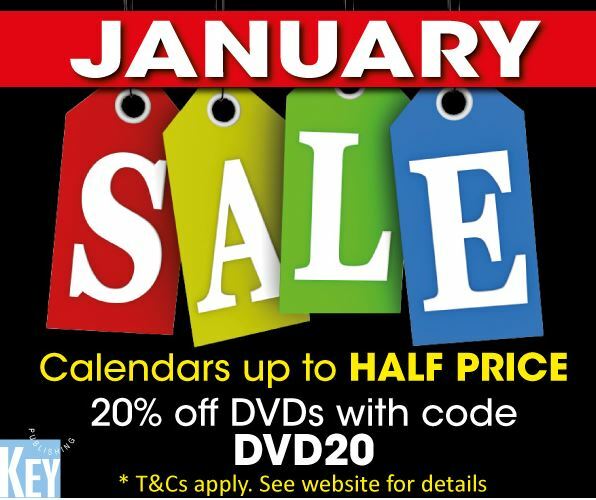 January Sales - 20% off DVDs and Books! KEY'S JANUARY SALE IS HERE! PLUS - Up to HALF PRICE on our range of 2019 Calendars! BE QUICK - All offers end 10am GMT, Monday 28th January. All times are GMT. This page was generated at 10:02.